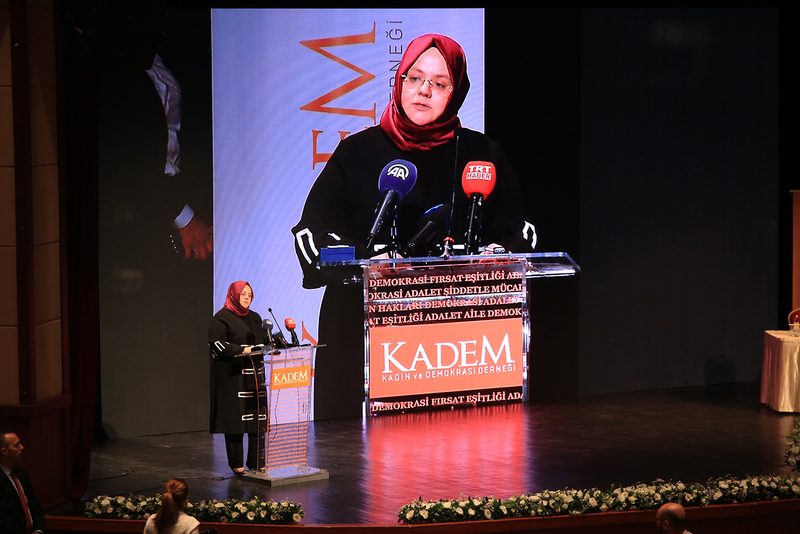 At the general assembly meeting, where speeches were delivered by KADEM Founding President AK Parti Istanbul Member of Parliament Assoc. 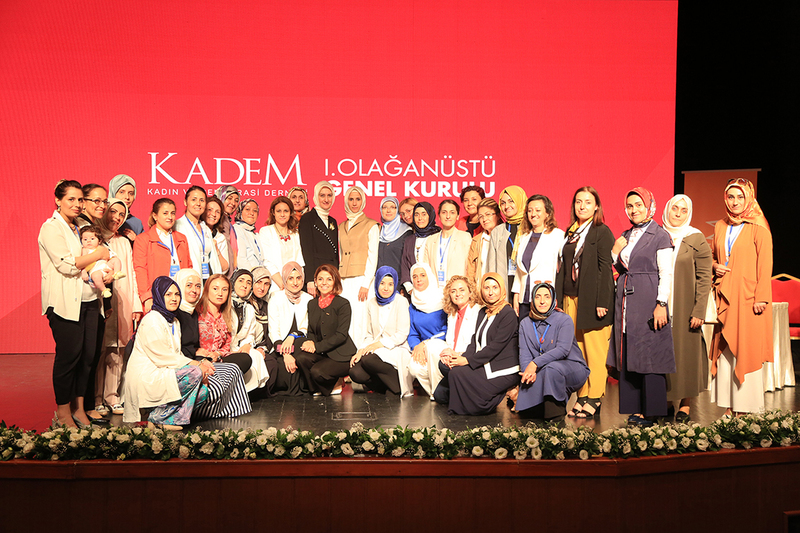 Prof. Dr. E. Sare Aydın Yılmaz, KADEM Persident Dr. Saliha Okur Gümrükçüoğlu, KADEM Vice-President Sümeyye Erdoğan Bayraktar, and Family, Labour and Social Services Minister Zehra Zümrüt Selçuk, the new board of directors was elected following the appointment of delegates . 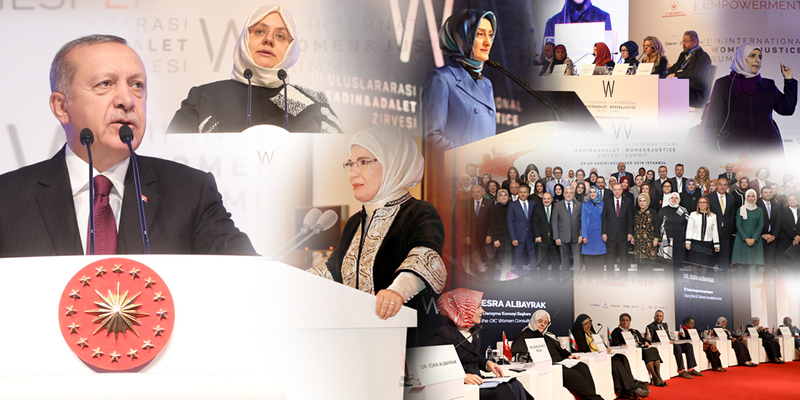 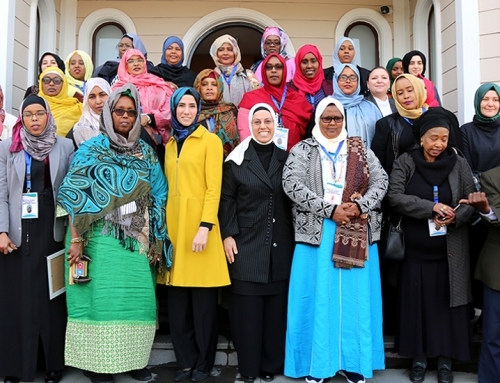 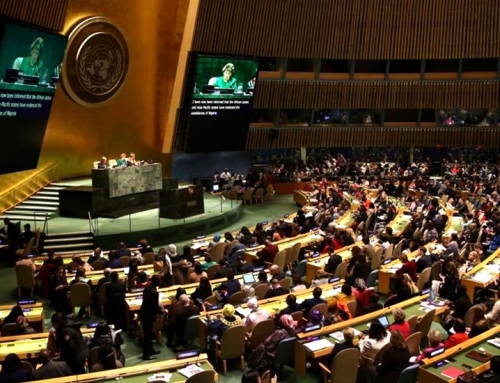 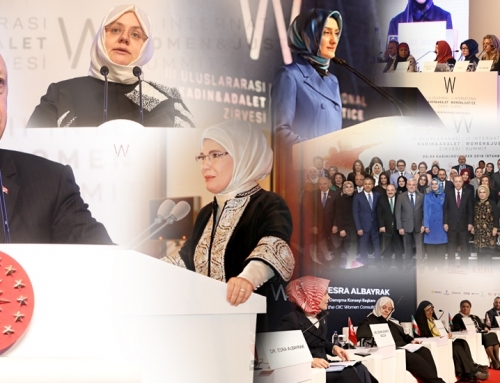 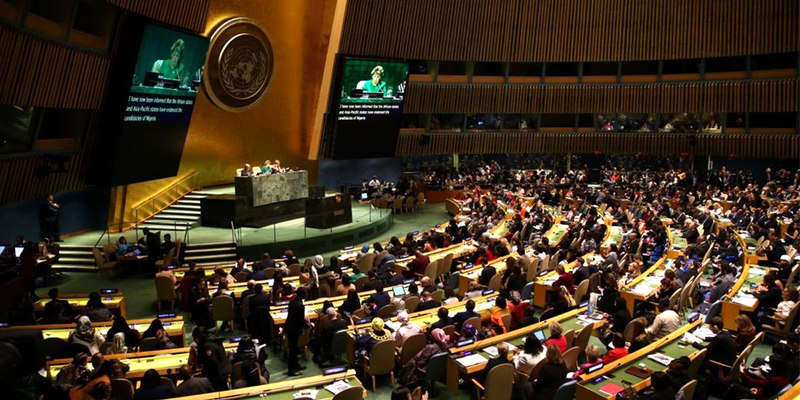 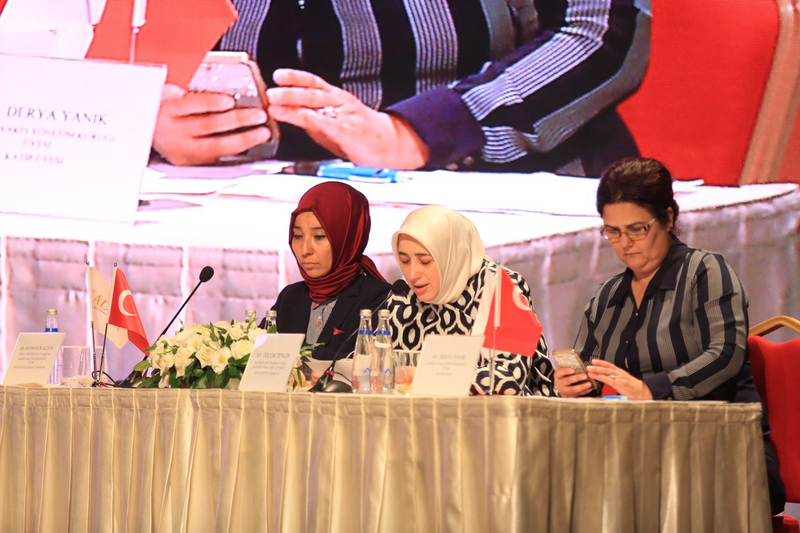 Delivering the opening speech of the general assembly meeting, Sümeyye Erdoğan Bayraktar emphasised on the fact that the issue of women concerned the public in general, and elaborated on cases of harassment. 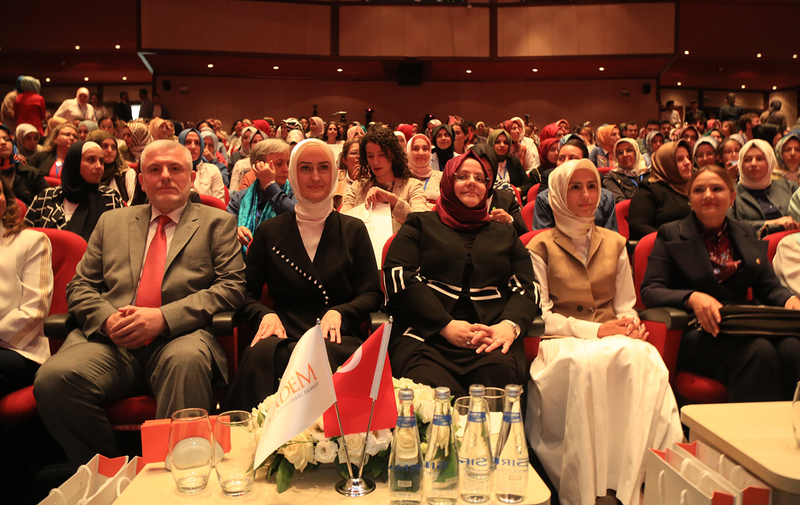 Bayraktar stated that, if cases of harassment are to be interpreted in light of victimization, the father, spouse and brother of a woman who experiences harassment are also victims and it is also those men’s problem. 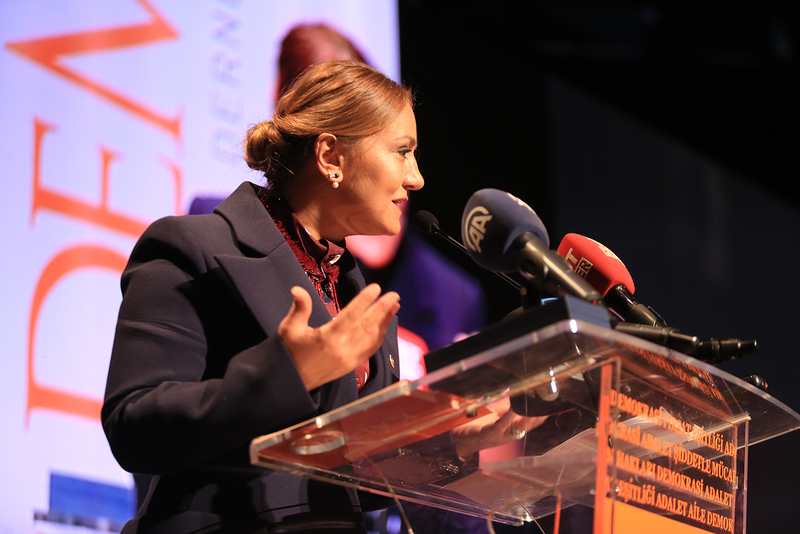 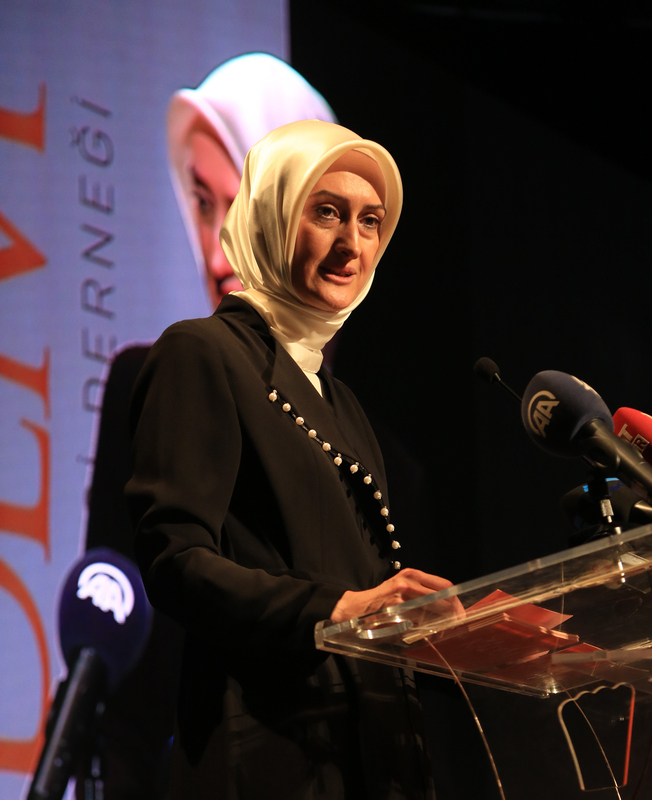 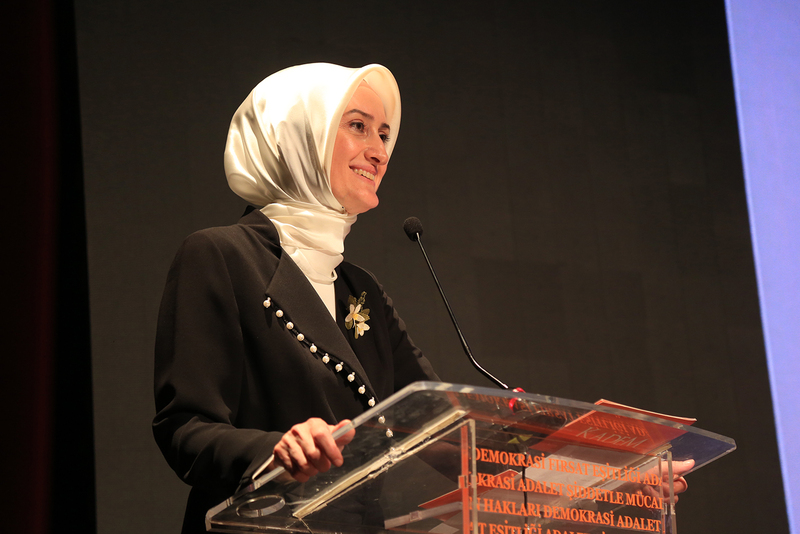 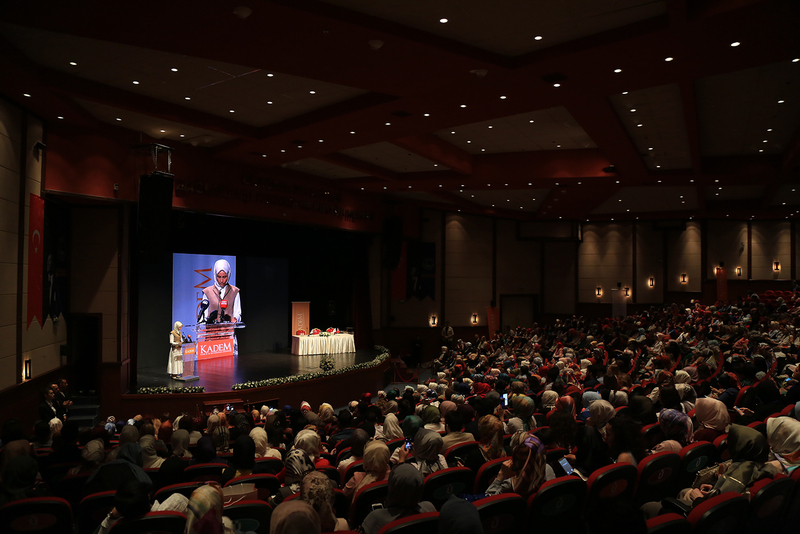 Speaking after Bayraktar, KADEM President Dr. Saliha Okur Gümrükçüoğlu stated that KADEM acts with a perspective that prefers the use of the term “Gender Justice” instead of “Gender Equality,” and added that this term allows the issue of women to be interpreted more accurately by accepting the differences that originate from creation as wealth. 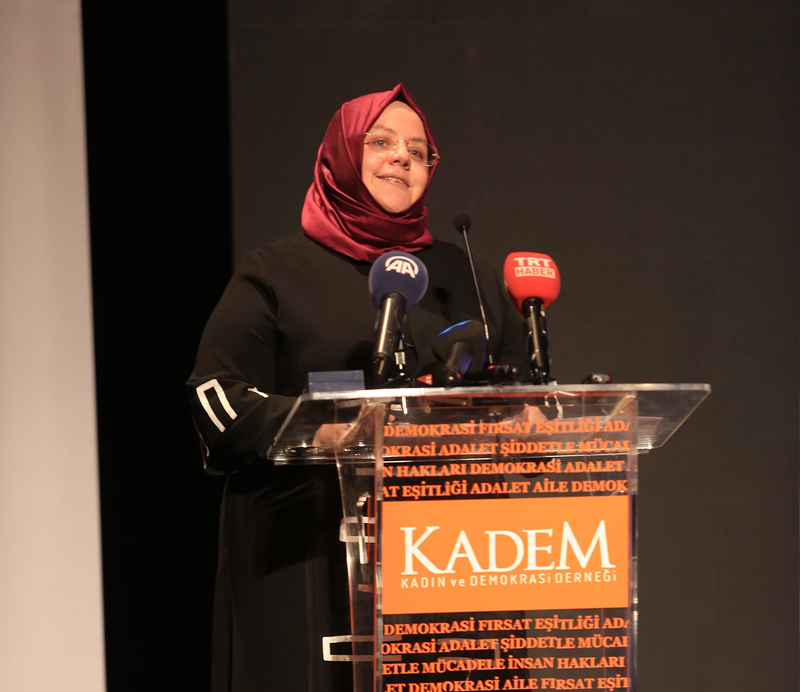 Delivering the last speech of KADEM’s 1st Extraordinary General Assembly, Labour – Social Services and Family Minister Zehra Zümrüt Selçuk emphasised on the fact that they are aware of their responsibilities as the first cabinet of the new government system, and that they would act with the consciousness of being “us” by giving importance to the common sense, joint work and consultation, and that all together they would bring Turkey to a more prosperous future. 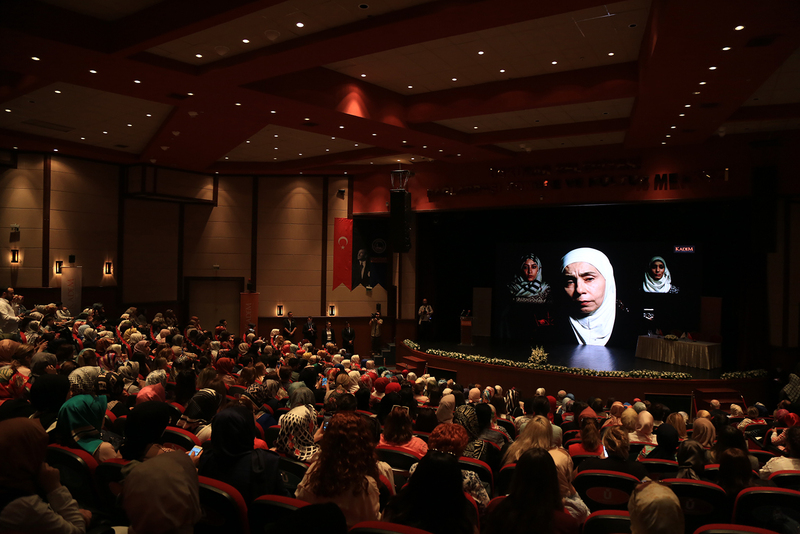 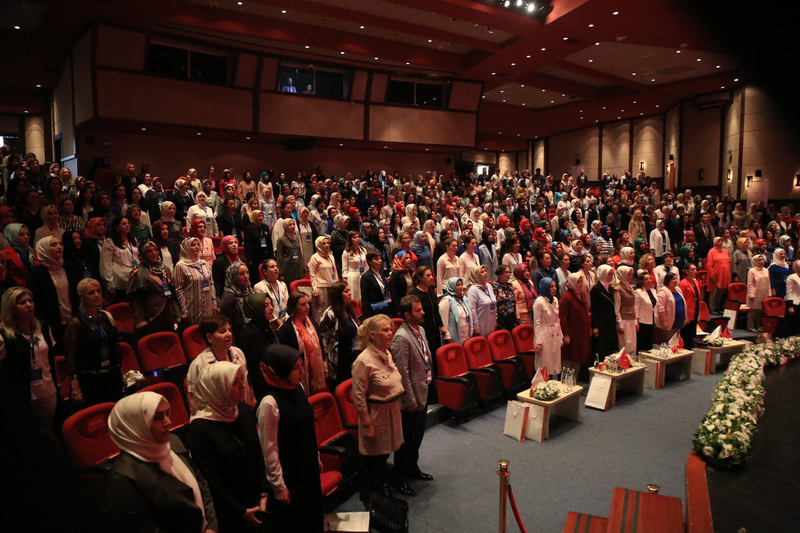 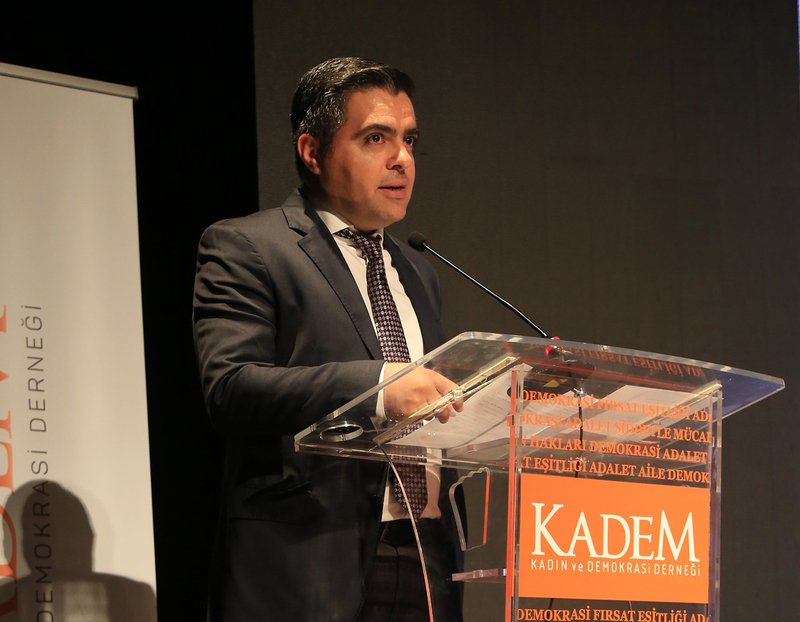 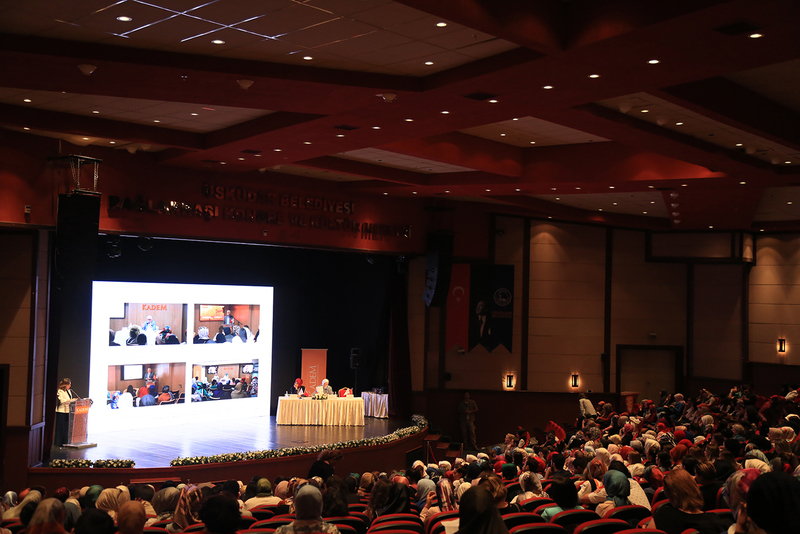 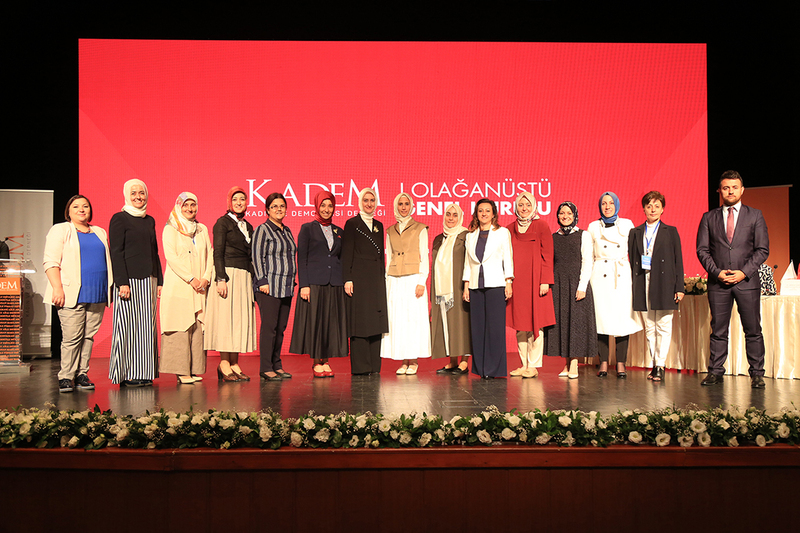 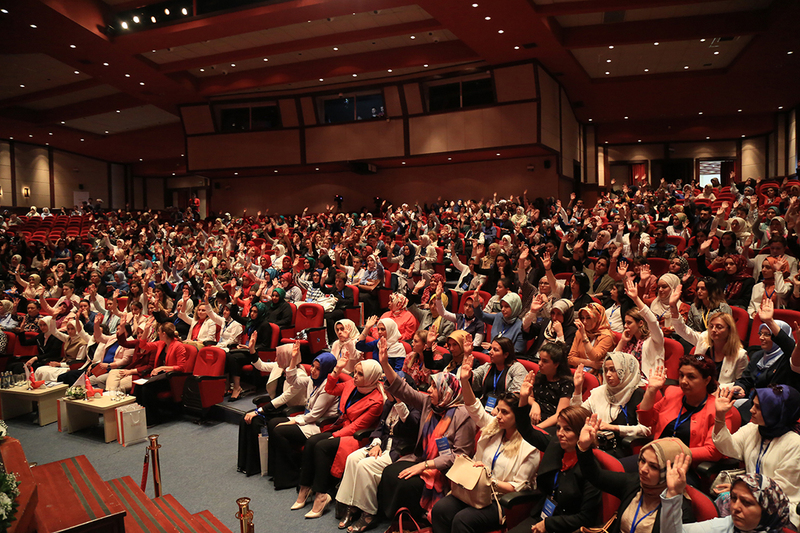 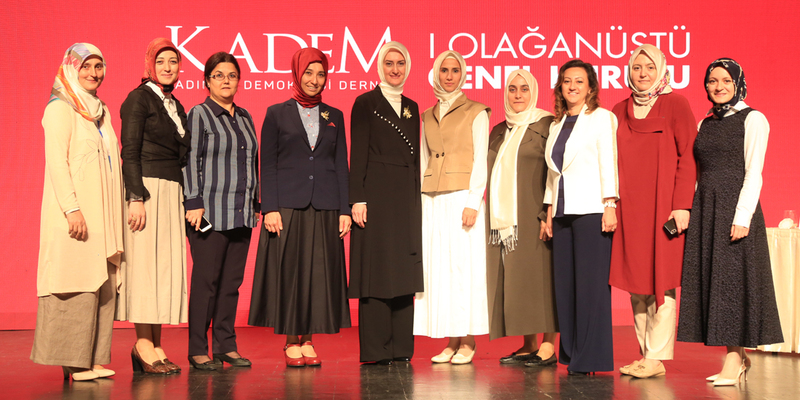 During the 2nd Session of the KADEM 1st Extraordinary General Assembly, presided over by Tokat Member of Parliament Özlem Zengin, Att.-at-Law, which followed the speeches, the members of the new board of directors were elected through the delegates’ votes. 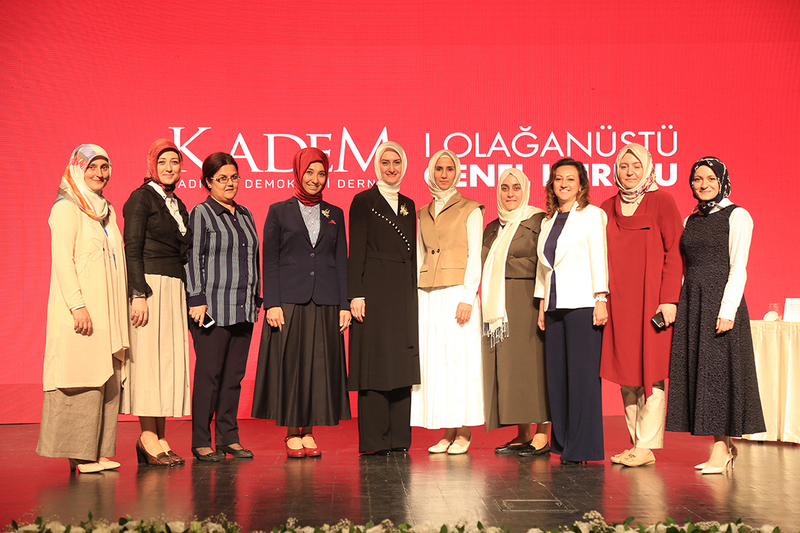 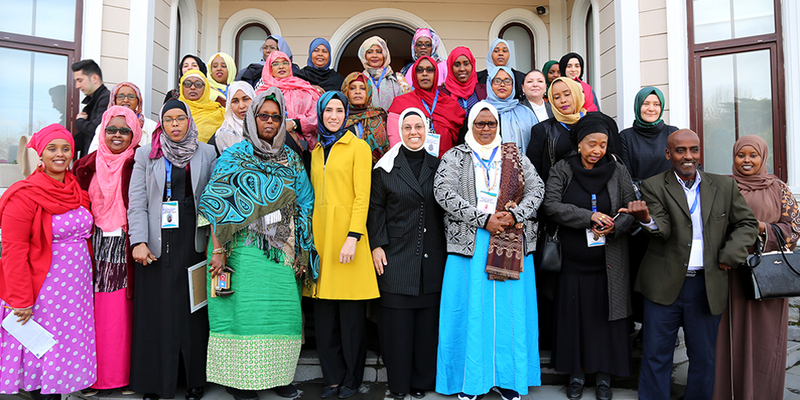 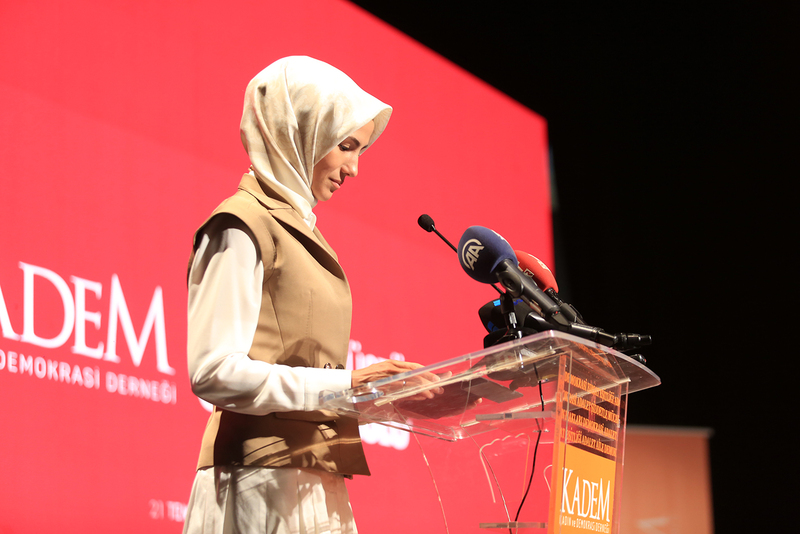 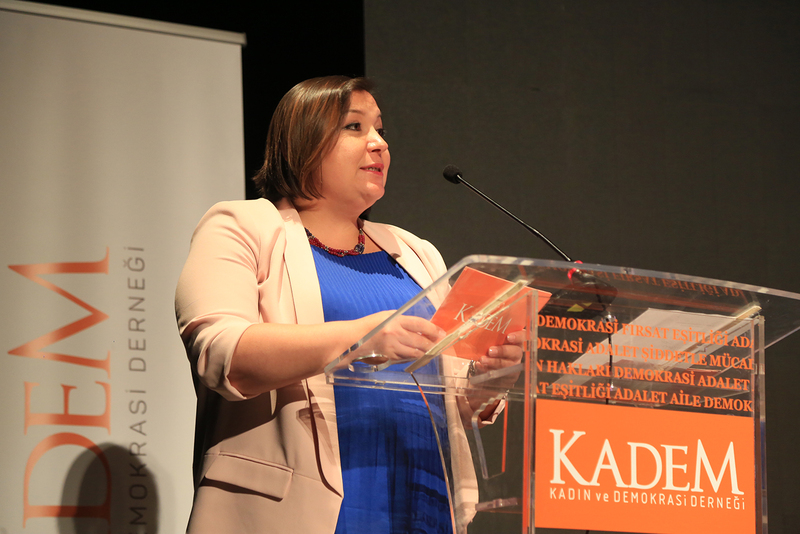 The KADEM 1st Extraordinary General Assembly was adjourned following the acknowledgement speech delivered by Dr. Saliha Okur Gümrükçüoğlu, who was elected by way of delegates’ votes.